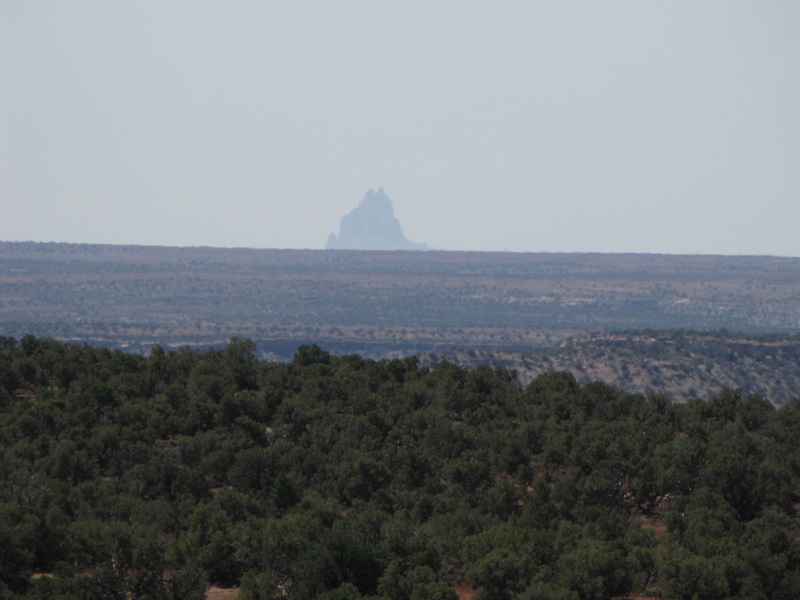 Directions: From Cortez, head North on Hwy 491 and make a left (West) on County Road BB. 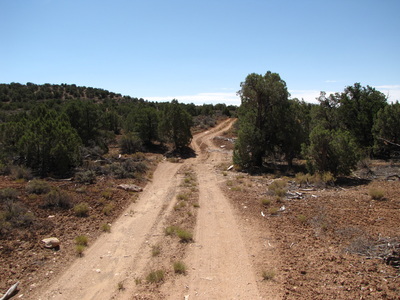 The road is dirt, but passable by most cars. 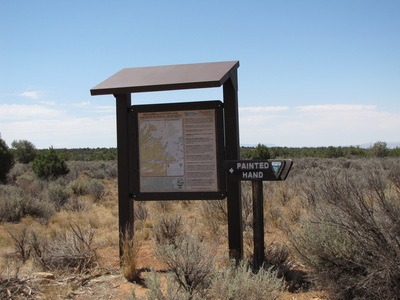 Travel 6 miles on BB and turn left (South) on County Road 10 for 11.3 miles. Turn left onto Rd 4531 which is a rocky dirt road, for about 1 mile and turn into the small parking area and trailhead. 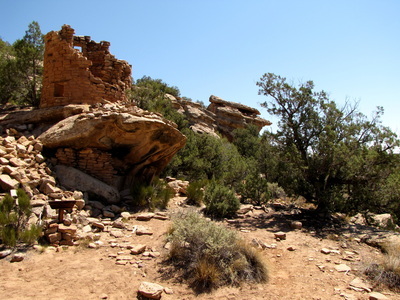 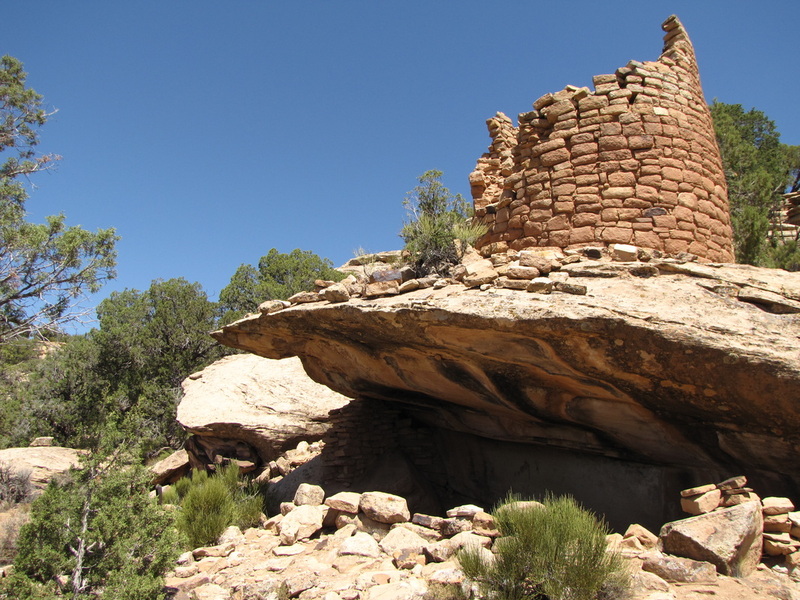 The short hike down to the Painted Hand Pueblo is one of the many fascinating hikes in the Canyons of the Ancients and Hovenweep National Monuments. The hardest part of this hike is getting to the trailhead. 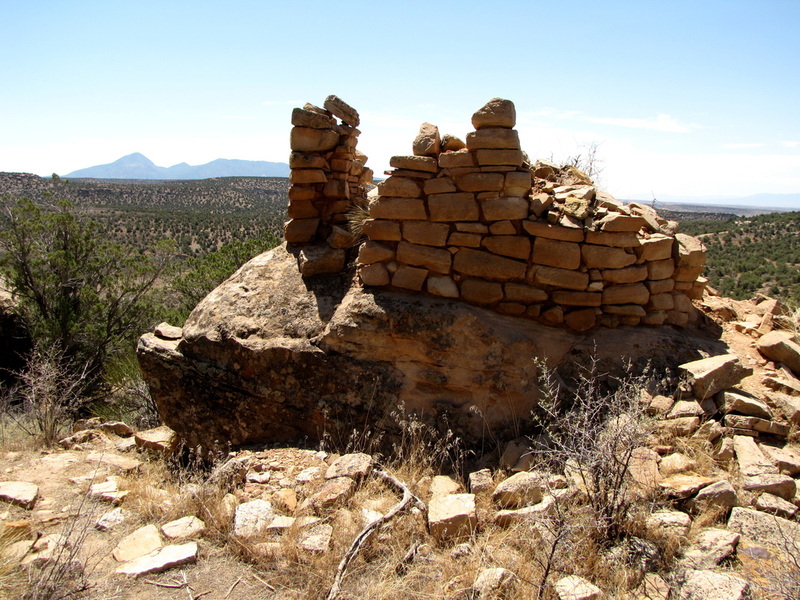 The hike itself follows a series of switchbacks down to an archeological site consisting of a tower pueblo and assorted ruins. 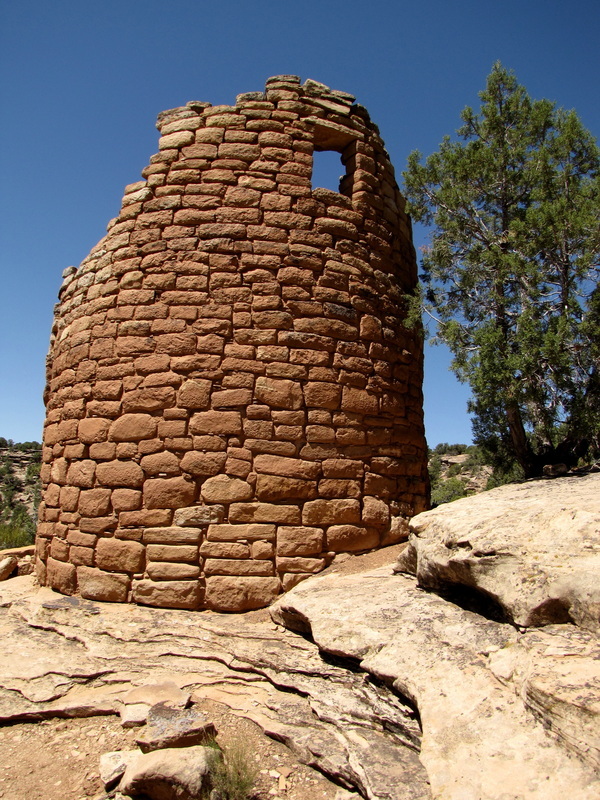 The first site that you reach is the main tower built on top of a large rock outcropping. 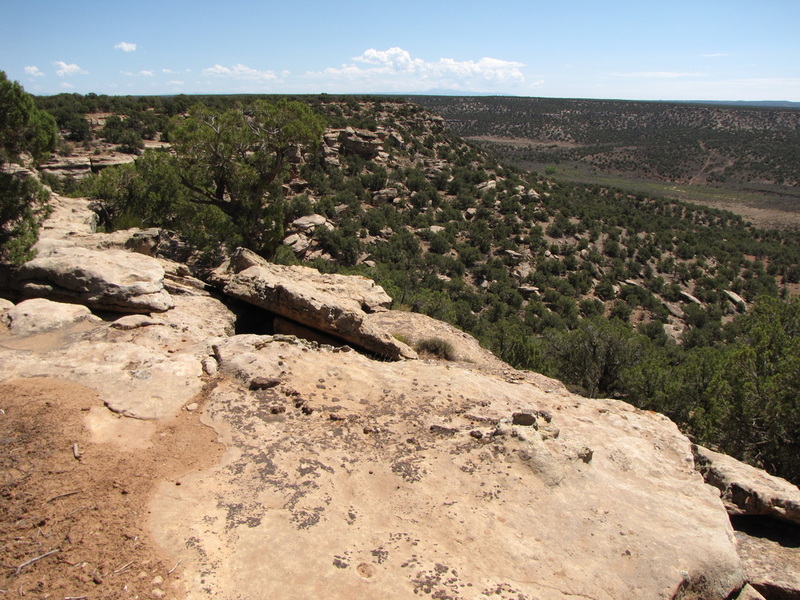 From here you can follow the trail to the east to explore more, smaller ruins, and also to get nice views of the surrounding desert plains. 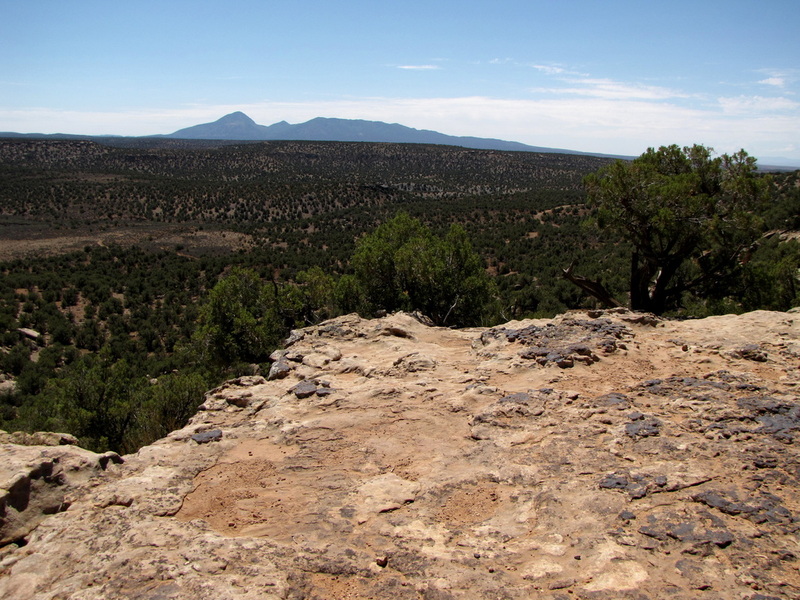 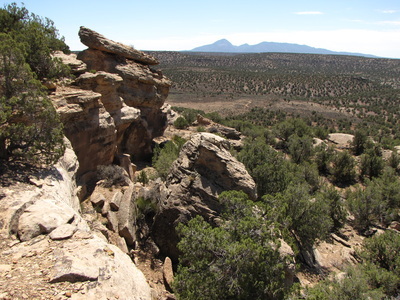 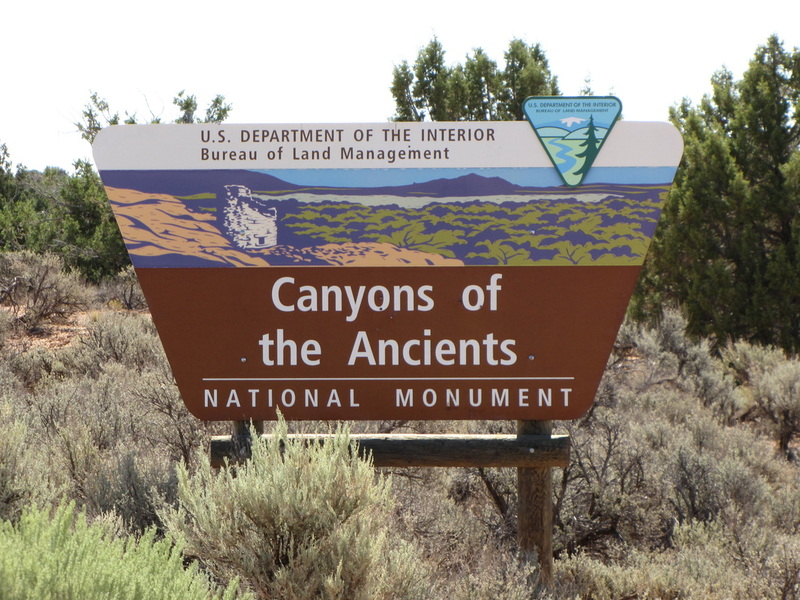 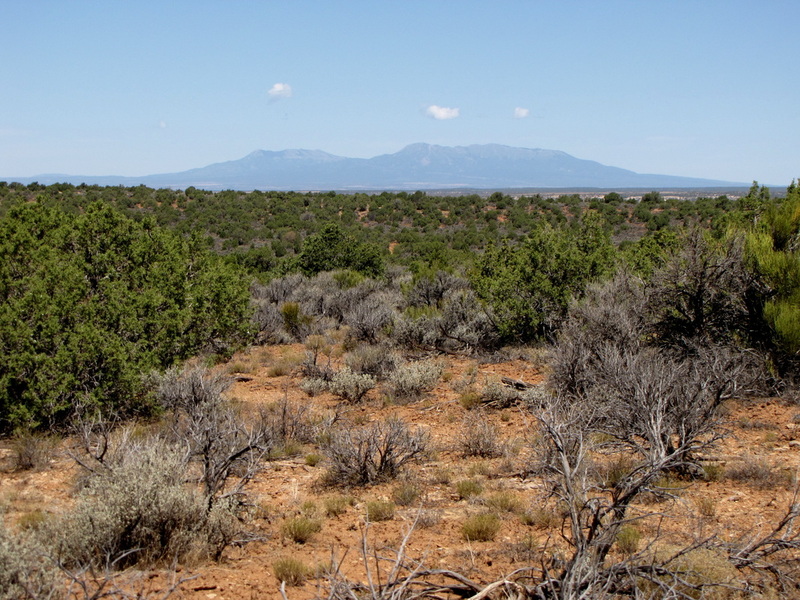 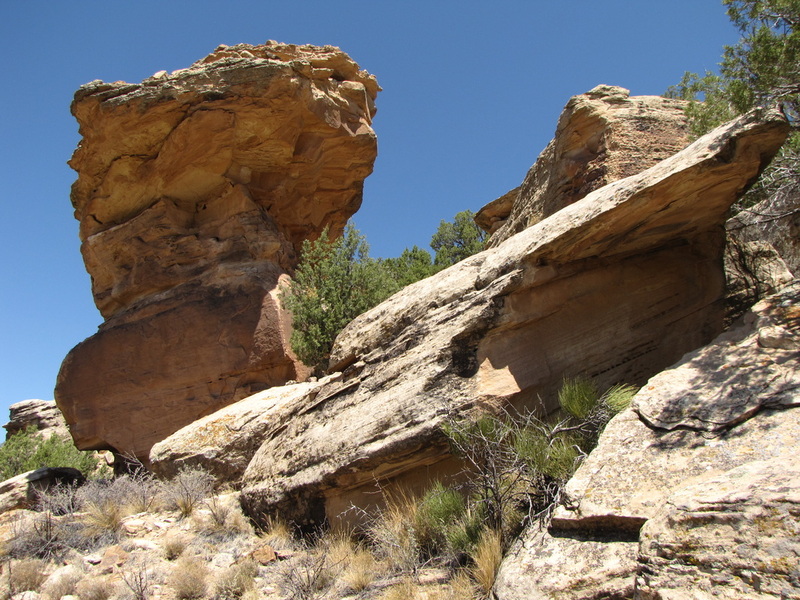 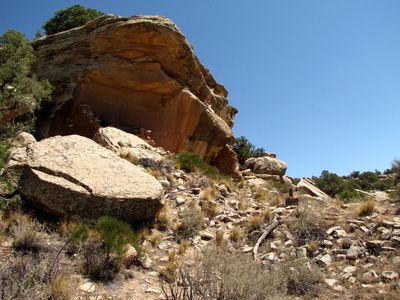 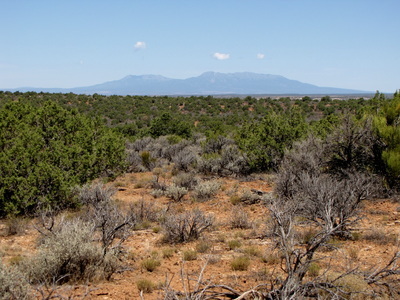 If you look closely you'll find petroglyphs and pottery shards scattered throughout the area. 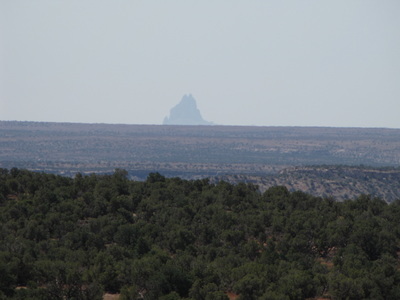 The views of the surrounding landscape are impressive including a view of Spirit Rock looming in the far distance.